First off, full disclosure, I purchased all three of these products myself. This review is sponsored by no one other than my own personal pocketbook. I truly love these products and just wanted to tell you about them! All of the sudden, Beauty Balms, or bb creams, are all over the place! Of course I had to try one! The general idea is that a bb cream is a moisturizer, sunscreen, and treatment serum, that also hides imperfections. 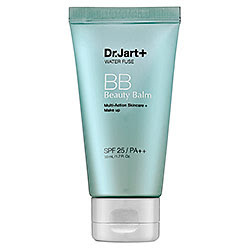 I tried the Dr. Jart+ Water Fuse Beauty Balm, purchased from Sephora for $32. I've been wearing it as my foundation, applied with a damp foundation brush, and I love it. This only comes in one shade, and just seems to be perfect for my skintone (light/fair, with yellow undertones). 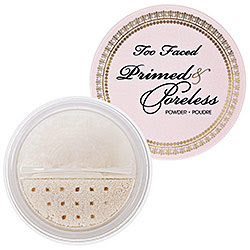 For a finishing powder, I am LOVING Too Faced Primed & Poreless. Absolutely loving it. Also purchased from Sephora, this is $28. I have somewhat oily skin, and I used to have to blot or re-powder my t-zone mulitple times a day. Somehow this powder seems to magically solve that problem, and I don't re-powder AT ALL. Love that. Have you found any new makeup this summer that you are loving? Oh, I soooooo need me some of that Beauty Balms cream. I got plenty of imperfections to cover up and need all the help I can get! 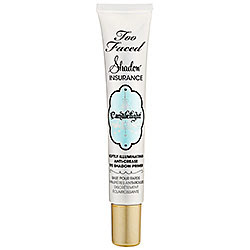 I love Too Faced products. The primed and poreless powder and primer are just brilliant!! I also love their bronzer. Another item I have fallen in love with this summer is the Benefits box of powder in "sugar bomb". It adds some great color for the summer.